How I Lowered my PPC Costs And Pay 3x Less. My preferred PPC network for online marketing is Bing and for years, I’ve used a cool method to lower costs by 3x. Now these 3x less results are only in relation to me and compared to average people who use this network, I actually end up spending 10x LESS than they do on ads. The first thing you need to do is understand how to set up a page, an ad and the right starting costs so you have a good: CTR, Quality Score and relevant website. If you can get this done, the rest is pretty much a breeze. If you’re new to this and don’t understand any of those terms, read my PPC guide first and it’ll walk you through the whole process, then come back here and continue the case study. That PPC guide has been what I have been followed for many years with great results. I have A LOT of products that I’ve reviewed that teach online marketing. Many of them are terrible and few are good, BUT every time I create a new product review, I will always make an ad on Bing for it. This will give me extra traffic. I have almost 50 ads set up, all linking to different product reviews, including products I rated badly. Why would I link to badly rated products? Well because it’s extra traffic. People are interested in products, even the bad ones but they may not know it’s bad and it’s my job to show them why it is and link them to something good. 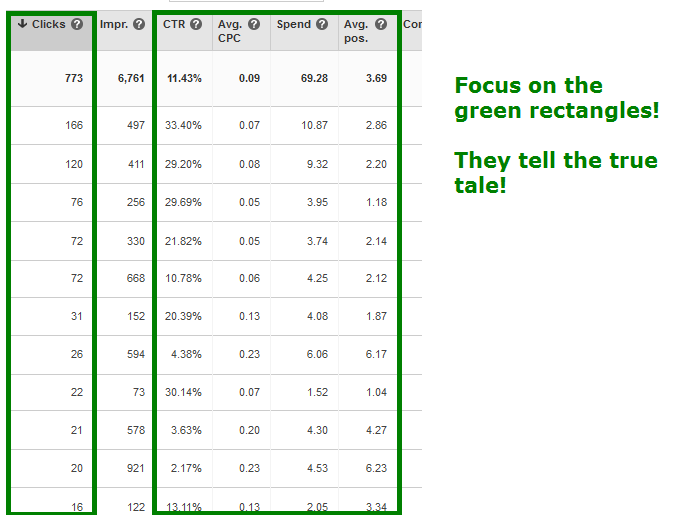 Again, read my guide and you’ll know how to make a great converting, clickable ad. Then the rest of this stuff will be easy to understand. Most of the ads I make are based on product reviews. Those are usually very cheap to bid and get ads placed high with if you know what you’re doing. I keep all of my adgroups that are related to my one site in one campaign so it’s easier to manage. 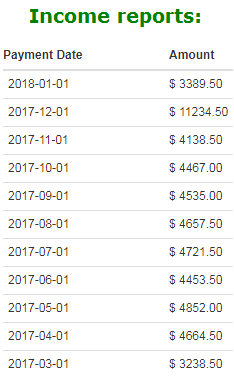 So if I have 1 site on making money online, and I reviewed 50 make money online products, they will all be in one campaign (basically folder). Each product is going to be in an adgroup (separate ad and settings). Again, try to focus on product reviews when doing PPC since they’ll be cheap if you find the right keywords and keep targeting your ad within English speaking nations. Most of the time, I show my ads only in the U.S, Canada and sometimes Australia and the U.K.
Keyword review, keyword reviews, keyword scam, keyword complaints. The “keyword” is going to be the name of the product. I only target exact and phrase (never broad) so usually there will be 2 versions of each keyword. In the above example, we have 4 keywords and with 2 variations, that’ll make it 8 keywords altogether. I set up my ad, again using my tips to ensure it gets a lot of clicks and high CTR. I set all of my starting bids to around .20-.30 cents. Start at .30. When you make a Bing ad, this image will appear towards the last section of the ad creation process, right before you save and make the ad go live. It will be checked. Un-check it. Wait a week to see how your ads are performing. If you followed these tips, you can expect to probably not have a lot of clicks (It’s OK), but you will also have a VERY high CTR and generally high ad position. Now comes the part where we start to pay even less! If: Your ad is showing average positions of 1-3, lower your cost from .30 to about .20, wait a week and if positions and clicks remain around the same amount, lower it to .10. Having an ad show within the top 3 positions is considered VERY high (which is good) and you can risk paying less. If your ad shows very low, say position 7 or lower, raise your bids by no more than .10. So if I am bidding .20 cent on an ad and it shows that it’s in position 6, 7, 8, I raise it to .25, give it a few days and then see how it does. If it’s still low in position, keep raising it by .5. I do this to make sure I’m not overspending. If this part is completely confusing to you, please do the following: Go over my tutorial again and if it’s still confusing, ask me a question below. Do research on your keyword beforehand. 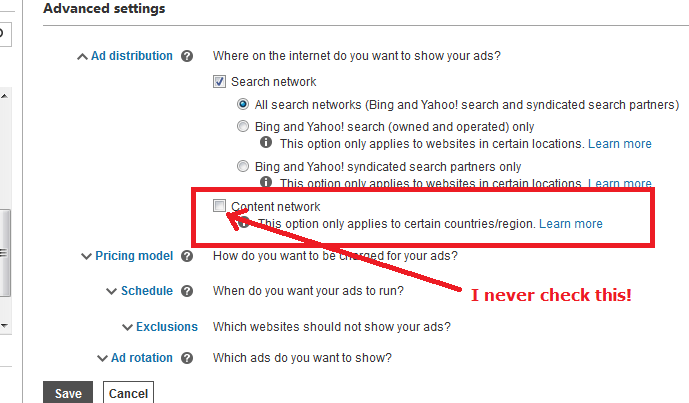 Type it into Bing and if you see 5 ads or less, make your starting bid $0.10. An average CPC of $0.09! Spend $69.28 altogether for these clicks. Average position was 3.69 (within my aimed for limit). These ad networks LOVE to make you spend more. They’ll try to give you “default” bids so you can pay more. I’ve had times when I’ve been told to be in a good position, I’d have to spend upwards of $20 PER CLICK. That’s RIDICULOUS. Never spend more than a $1 on a bid and that’s still a rare thing. They’ll also try to get you to add more keywords to get more impressions (appearances on the network). You can look at those keywords, but if they aren’t DIRECTLY relevant to the keywords you chose, do not use them. For myself, I never follow the suggestions ad networks give me. They rarely suit me and I don’t want to spend anymore than I have to! Focus on product reviews and keywords related to those products. Keep the keywords limited. It’s not about the quantity, but the quality of the keywords that counts. A group of 5 keywords can yield much better profits than a 100 keywords. You will get less traffic, but as long as those keywords make sense, you will end up profiting more than you would with the 100 keywords. If you have trouble finding keywords, use Jaaxy, a wonderful keyword tool that’s helped me pick out the right ones. If you suffer from high PPC costs, this will really make it cost you so much less and get many more results. These tips also apply to Google Ads, but be careful with that place for these reasons, otherwise, feel free to use the same tips (I once did, but they kicked me out eventually because they became very strict to advertise with). Hello there. I wanted to thank you for this PPC tips, I’ve tried to follow everything you say and I got really high click rates and even 10 as a quality score mark. However, my problem remains conversions. I tried everything to optimize my site, and in my opinion it looks pretty good. Especially the first part of the reviews has a lot of masked links, where viewers should normally click on. However, they don’t. What do you think I should do? Also, they don’t stay on my site for a long time, something like 35 seconds. I have link clicks, but pretty few compared to the number of viewers I have. What do you think I should do? Hi Dan, I did look at your site (though I did omit the link). I like the way it’s done, although I would remove your side widget links, they can be causing a portion of your traffic to leave. 35 seconds on a page is NOT bad at all actually. I find that to be good actually. One thing you haven’t mentioned though is how many clicks your site has gotten and how old it is. I’d like to know that because the site appears to have a few pages, not a lot. Also your affiliate links are actually not masked or used with things like pretty link so I don’t know how you are determining the CTR from the site to the vendor. Edit the links to show pretty links (but still point to Amazon or wherever) then determine the incoming traffic to the page/s via PPC, then see how many clicks there actually are. One way to deal with this uncertainly is to review a whole bunch of products on your niche site, individually though, but only recommend one product. For example, since you review 4K TVs, classify them under a particular budget, review a bunch of them that get keyword searches that are under…say $500, then pick one out of those which is best for people, link the other reviews for the TVs under $500 to that one review, let people know which one to choose for the price. And finally, consider some sort of rating system. Your reviews don’t have that and visitors who have to figure out what the “Score” or “grade” is for a product are usually those who will get bored and leave your page. I never really tried PPC because I did not fully understand how it works, the goal is to make money not lose it and I knew I will be losing money if I tried PPC, but after reading your post, I feel ready to give it a try as you have explained things so well. I will be setting up my own PPC campaign soon and thank you for this very very informative post! Truly appreciate this. Great post! It seems extremely useful. I’ve yet to learn PPC, but once I have an idea how it works, I’m going to be using this post as a guideline. Thanks.